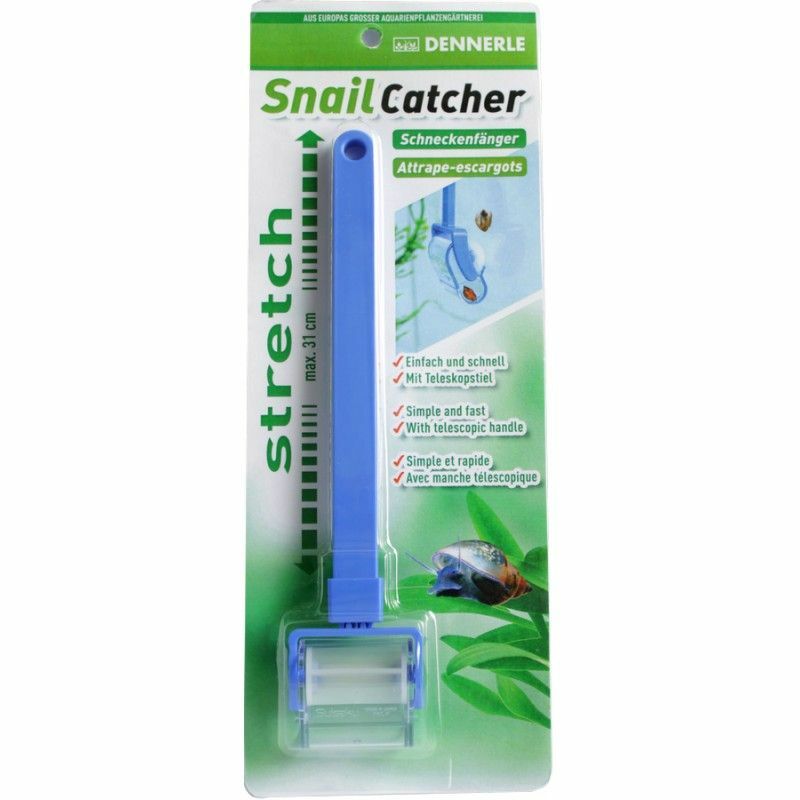 To remove unwanted snails simply drag the snail catcher across the aquarium glass and guide the snails (max. size6mm) through the rollers and into the trap. The extendable telescopic handle (max: 31 cm) stops your hands getting wet.